Gluten Free Crackers Recipe - Low Carb Savory - 100% Keto EASY! Home » Recipes » Snacks » Gluten Free Crackers Recipe – Low Carb Savory – 100% Keto EASY! 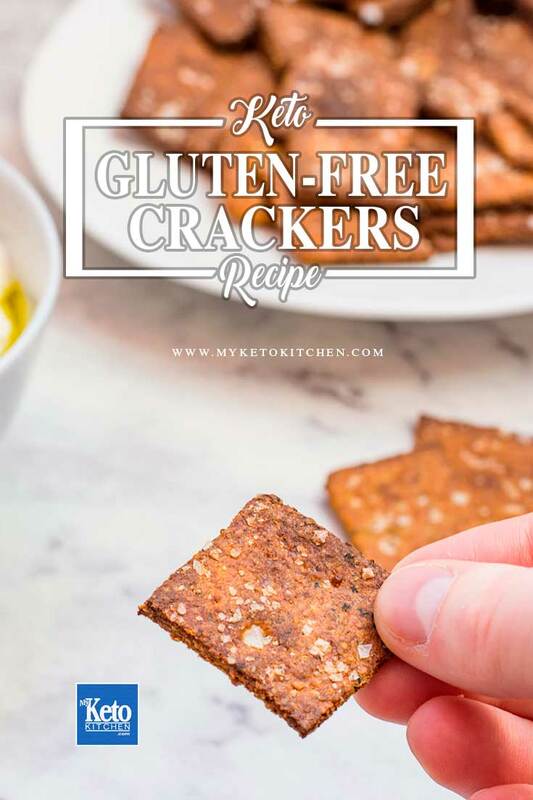 Our Gluten Free Crackers recipe is also low carb and perfect as a keto snack. Very easy to make and they keep well in an airtight container. Store the cooled gluten free crackers in an airtight container for up to 2 weeks. Be sure that they’re dry once baked. 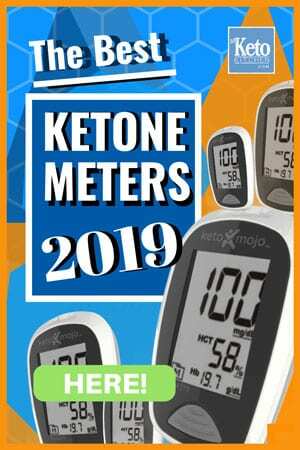 Undercooked keto crackers will become stale very quickly and cause the others in the jar to do the same. 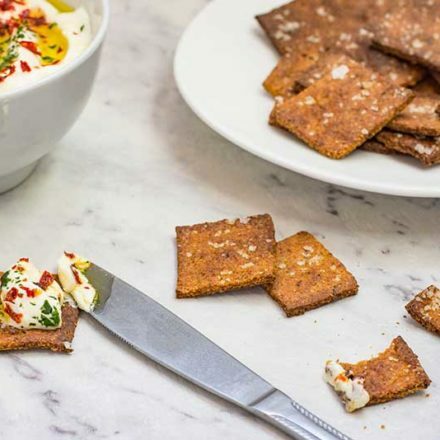 This gluten free crackers recipe makes approximately 65 or 13 servings. 1 serving is 5 crackers. In a mixing bowl combine the golden flaxseed meal, parmesan and cracked pepper and mix well. Roll out between 2 pieces of parchment paper. The dough should be 1/4in or 3mm thick. Place the entire sheet of parchment onto a cookie sheet. Bake the crackers for 8 minutes, and then turn over (an egg flip works great here) and bake for another 5 minutes. You may need to batch cook depending on the size of your oven and baking trays. After turning and baking for another 5 minutes, your crackers are still soft (this may happen depending on your oven). Just cook them for another 2-3 minutes before drying to ensure that they are cooked through. Enjoy on their own or topped with your favorite cheese. In a bowl combine the golden flaxseed meal, parmesan, salt and cracked pepper and mix well. Remove the top layer of parchment paper. Cut the dough into squares and sprinkle over the flaked salt, gently roll over with your rolling pin to stick the salt to the crackers. After turning and baking for another 5 minutes, your crackers are soft (this may happen depending on your oven). Just cook them for another 2-3 minutes before drying to ensure that they are cooked through. To make a larger batch of this Gluten Free Crackers Recipe adjust the serving amounts in the card above.